The FC Barcelona Women’s football team, which is getting ready to host the return leg of the Champions League last 32 on Wednesday evening at the Miniestadi, has gotten off to a great start in this year’s competition after beating Minsk, 3–0, in the first leg. The Catalanas will spend the season trying to improve on last year’s showing, in which they made it all the way to the semi-finals before being knocked out in a game that drew over 8,000 fans to the Miniestadi, which is located next to Camp Nou. The men’s team, for its part, is a perfect two-for-two in the group stage of this year’s Champions League. 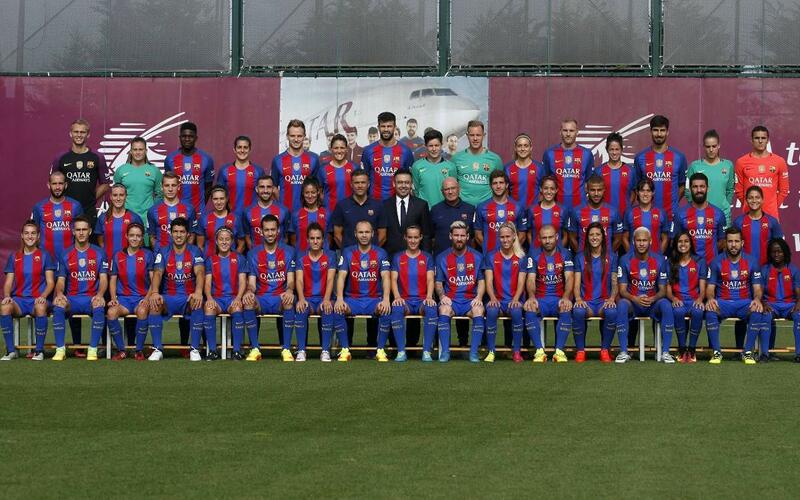 To honor the Club’s first teams of football, they posed together for a joint official photo back on 26 September.